Dr. Ciara A. Agresti has over 15 years of combined academic and industry experience as a scientific and medical researcher. 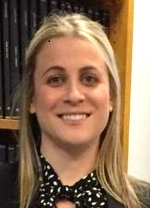 Prior to joining MedVal/PharmaWrite, Ciara completed her postdoctoral research with an emphasis in genetic medicine at Weill Cornell Medicine in New York, NY. She received her doctorate in Chemical Biology, with a research emphasis in targeting orphan mitochondrial diseases using a gene therapy approach, from Stevens Institute of Technology in Hoboken, NJ. While Ciara completed her doctorate, she served as an undergraduate course instructor at Stevens for General Chemistry and Biology & Biotechnology, and developed an Introduction to Biology course for non-science and engineering majors. Additionally, Ciara has several years of pharmaceutical industry experience as a research scientist at Merck and Schering-Plough, primarily in clinical virology and preclinical/ clinical immunoassay method development and validation. Prior to joining the pharmaceutical industry, Ciara earned her MS and BS degrees in Chemical Biology from Stevens. Ciara is a published, peer-reviewed author and has participated as a key science content contributor for a National Science Teachers Association publication focused on integrating engineering concepts into biological science lessons for high school students. She is a member of the American Medical Writers Association and the International Society for Medical Publication Professionals.